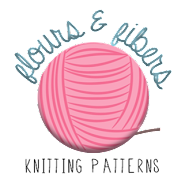 Flours & Fibers: Merry Christmas! Today I thought I'd share one of the Christmas presents I made this year. 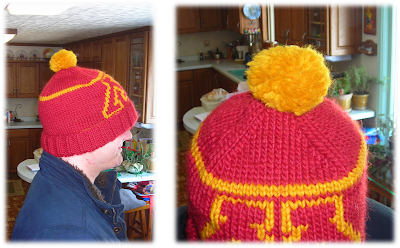 I wanted to make my little brother, Steve, a hat to wear at the University of Minnesota, where he is studying journalism. 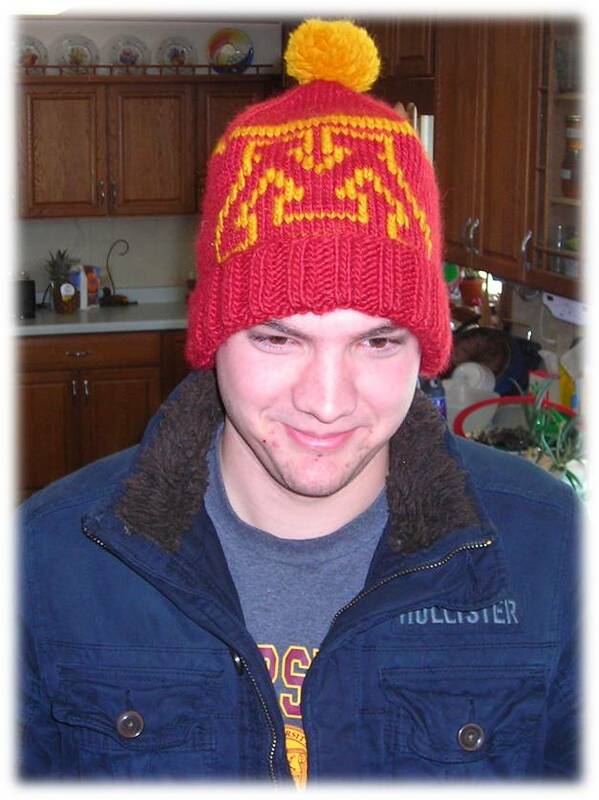 Here he is modeling the finished product! This is my own pattern. 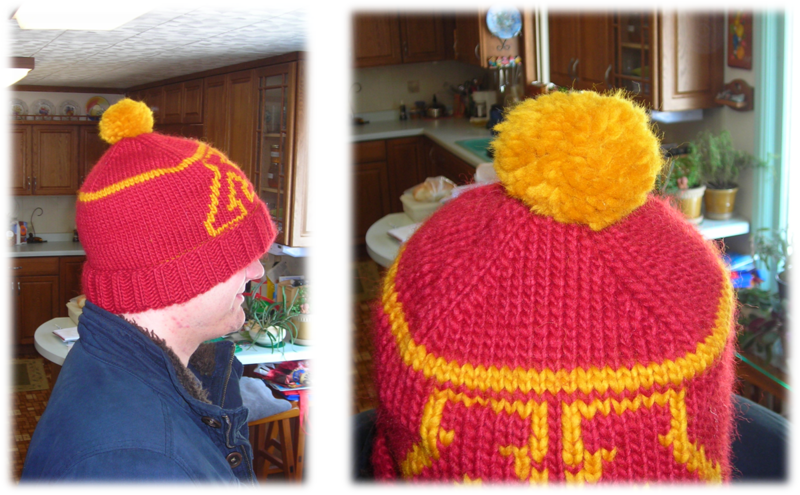 The "M" is duplicate stitched on after the hat was completed. I charted it myself, using the Minnesota logo as a template. As you can see, the Minnesota M is a little stretched and slanted. As for 'Olive', the neckline is completely bound off, all ends woven in, and the body stitches have been picked up!